: Return Reassembling Skeleton from your graveyard to the battlefield tapped. Abzkaban on Don't Default on your Payments to Orzhova. Okay! I was finally able to take a look at your deck. I have some suggestions that I would add, but first it would help to have a better understanding of what you want from the deck. I assume you're not against infinite combos since you've included Darkest Hour , but are you going for a traditional Aristocrats theme? Do you want to win as fast as possible or are you trying to go a more stax route? I notice you have Reveillark , but I don't see Karmic Guide . I highly recommend you pair them together for an infinite sac loop but also to be able to get everything out of your graveyard with power 2 or less. Nim Deathmantle is another that works great with Teysa. It can even go infinite with Ashnod's Altar and your commander if you sacrifice the creature you get from Teysa first so you have 4 to pay to the mantle. Ogre Slumlord is excellent for providing sac fodder. He gets ridiculous pretty fast. 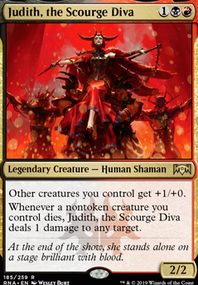 I would add Zulaport Cutthroat or the new Cruel Celebrant in addition to your Blood Artist to have additional means of draining your opponents. You could also go big with Kokusho, the Evening Star if you want to throw him into a recurring sac loop. 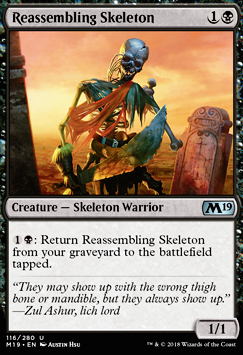 You've got Reassembling Skeleton which is great, but I'd also add Nether Traitor . He's so easy to abuse especially with Phyrexian Altar . Smothering Abomination is great for card advantage, and if you can find room for him, you probably won't regret it. Dark Prophecy is probably the best in terms of card draw and would recommend you find room for it. I might also replace Burnished Hart with Solemn Simulacrum . He'll draw you cards and ramp you. Plus you can recur him to use him again. Speaking of graveyard recursion, Phyrexian Reclamation is one of the best in terms of getting single creatures back to sac again especially if they're cheap to cast. Athreos, God of Passage is amazing for recursion as well. You might also try Trading Post for recurring your artifacts which can be essential to your strategies. Martyr's Bond is great, but no Grave Pact or Dictate of Erebos ? I'd run at least one of those in addition to Martyr. In line with some stax play, Yosei, the Morning Star is an all-star (ha...) especially if you can bring him back and sac him again (say with Nim Deathmantle ). As for more cards in your Maybeboard, Sun Titan is an excellent choice if you want to include him. Bojuka Bog is always handy when you're going against other graveyard decks, and Reliquary Tower is good to have on hand when you end up drawing half your deck, which can realistically happen if you run Darkest Hour . I would definitely keep Blasting Station but I'd probably cut Loxodon Warhammer and Felidar Sovereign . The way Teysa runs, they aren't the most useful cards in her arsenal. I've found Felidar just becomes the primary target when he comes out anyway. Anyway...just a few thoughts. Like I said it would be helpful to know the direction you want to take the deck. 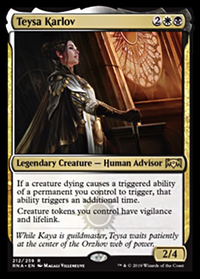 Otherwise I'm just spitballing with cards I would personally use to run Teysa. First of all, I'm glad to see people interested in Mardu Aristocrats decks in Standard! 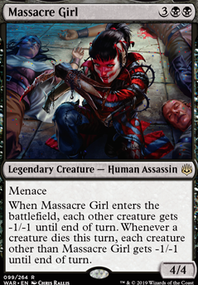 I believe that Cruel Celebrant is going to allow that kind of deck with War of the Spark, and that is great news. I have a question, why you consider Gutterbones a better cannon fodder than Reassembling Skeleton ? Gutterbones needs 3 mana in total to come back from the graveyard to the battlefield, while Reassembling Skeleton only needs 2 mana and as an instant. Doomdragon271 on Waste Not, Want not. Attrition Free sac outlets are better. Buried Alive Significantly reduced need for creature tutors. Chainer, Dementia Master Liliana is more focused towards the discard aspect I want. 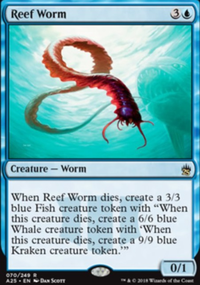 Entomb Less need for creature tutors. Fellwar Stone Lower curve means that I want to be using mana more efficiently, as opposed to tapping out on 2 to ramp. Scythe Specter Too slow for this type of effect, the idea is to get rid of all opponent's hands as fast as possible and to keep them empty. Stitcher's Supplier Less graveyard focus now, I dont need the self mill as much. Victimize There just aren't enough good targets for this spell to be useful. Liliana Vess More Discard, yay, also, more tutors. Animate Dead the replacement for victimize, grabs one very important creature. Razaketh, the Foulblooded More tutors! Sensei's Divining Top Card selection is great. Bad Moon , Still on the fence about this one, Bloodflow Connoisseur might be the pick here. Phyrexian Arena More consistent card draw. Vampiric Tutor And even more tutors. Cruel Celebrant : new from War of the Spark, not yet released. If you like some of these suggestions I offer more advice. Good luck with your deck. This deck looks very good. I really like Rally the Ancestors and might include it myself as I've been looking into mass recursion. You have a lot of wincons and drainers, so you may want to cut the more expensive and clunky ones like Vindictive Vampire and Falkenrath Noble unless you feel the redundancy is necessary in your playgroup. Entomb is interesting as well as it's a tutor for stuff like Nether Traitor or Reassembling Skeleton . I also see you haven't put in the new cards yet, Cruel Celebrant especially. You may want to consider Liliana, Dreadhorde General and Bolas's Citadel as well. They're both high cmc and you may not want to include them for that reason, but new Liliana has so much value with Teysa and Citadel is a lot more efficient in low cmc decks. You may need more reliable sac outlets, I would recommend Stronghold Assassin or Attrition if you want to lean towards control. Viscera Seer and Goblin Bombardment are generally good in any situation. Mazirek, Kraul Death Priest is perfect when you have hordes of tokens. Augur of Skulls , Duty-Bound Dead , Manor Skeleton , Reassembling Skeleton , Sanitarium Skeleton , Tenacious Dead Death Baron , Skeletal Changeling , Spawning Pool are all ok. I'd look at doubling down on the board wipes, especially if you can delay them, and looking more to artifacts like Lashwrithe . Mono black deckbuilder's toolbox is my list of all the stuff I've made work in mono-black in modern.